Milk in Tea - Should You Add Hot Water or Milk First? Milk in Tea: Hot Water or Milk First? The great debate… when putting milk in tea, should you add water or milk first when making a cup of tea? To put an end to this question once and for all, we’ll look into the history and etiquette of adding milk and water to tea, find the scientific answer behind which to add first, and then up with what you should NEVER do when adding milk to tea. Much of the History and Etiquette surrounding the famous milk or water first debate dates back to roughly the same time that soft paste porcelain was invented. Soft porcelain was a cheaper alternative to fine China, and was more susceptible to cracking from sudden temperature changes. By adding milk to a cup first, tea drinkers could ease the temperature change and prevent cups from cracking. 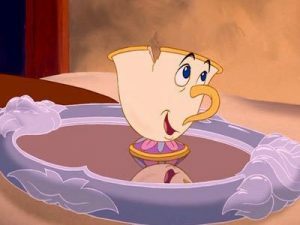 Those able to afford fine China saw this as an opportunity to show off their fine China by adding water before milk. Before long, this habit became a status symbol and social divider that had little to do with the taste of tea. Take the phrase “rather milk-in-first” to refer to a lower class person as an example of the social superiority felt by those adding water to their cup of tea first. When stronger cups entered the market adding milk first was no longer necessary, however the etiquette stuck around. 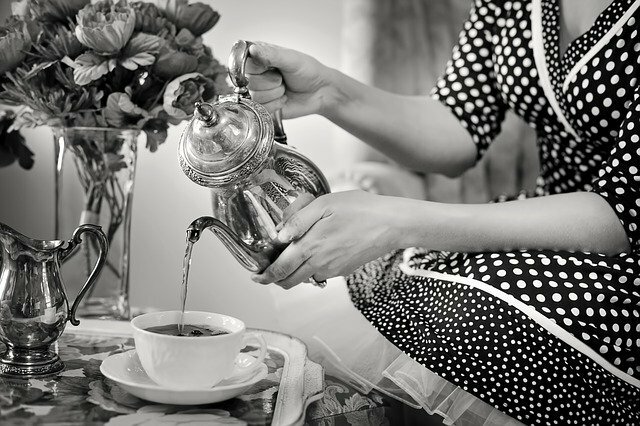 Yup, we agree- everyone back then could have just used another cup of tea. Hot water before Milk – What does Science say? According to science, the sudden change in temperature from pouring milk into hot water causes the proteins to unfurl and clump together. To avoid this, it is recommended to add milk to your cup first and then gradually add tea. Note; this is only the case when pouring tea from a pot, tea bags need to be steeped in hot water for the recommended time before adding milk. We’ll keep it simple. Pouring tea from a teapot? Add milk to your cup first… brewing tea in a cup? Add hot water first. This thick tea calls for Milk to be added before Water. This entry was posted in Did you know?, Story Time and tagged milk, recipe, tea, tips, water. Next time you break a cup, try this! You must Login or Register to post a comment. Copyright 2018 © Dollar Tea Club, Inc. All rights reserved.